Our primary offerings in used equipment are the repair or remanufacture of used web presses. We also provide field inspection of used equipment.  GSS has a deep history with decades of experience in the printing industry. GSS formed from the Harris/Schriber companies and acquired the Didde Corporation in 2009. Today GSS produces custom presses and equipment from our state of the art facility, including precision machining. Working with older and used web presses can be complicated and expensive. At GSS we use our extensive inventory of parts and knowledge of the industry to make the process easier. GSS partners with Nor-Am Graphic Equipment in the sale and procurement of used press and roll collators. GSS has partnerships with other used equipment dealers to provide our customers with all available options to meet their specific needs. Gears, gearboxes, bearing housings, cylinder repair, repair side frames, new bearings, new belts, new seals, rubber rollers, motor repair, electrical upgrades, guarding, and painting. Complete testing at our facility is available if desired. Customer defines the level of repair based on their or our inspection. Add or remove print towers, update safety guarding, PLC upgrades, main motor drive replacement or auxiliary equipment upgrades.